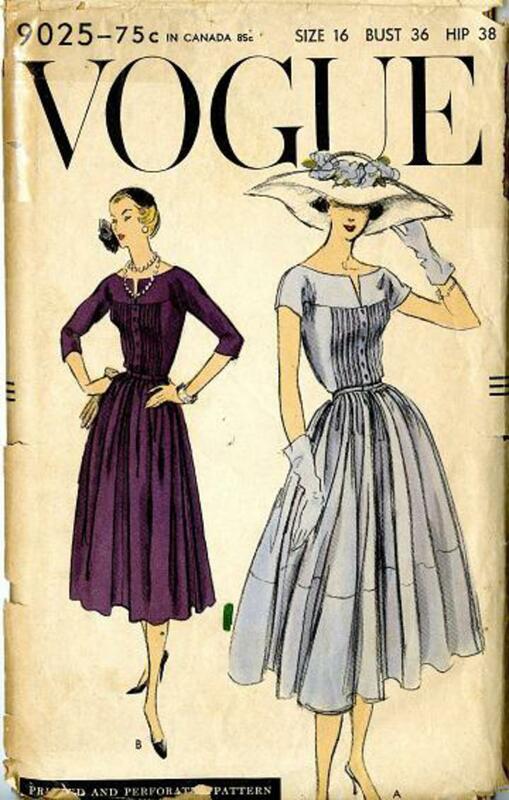 1957 Vogue #9025 Vintage Sewing Pattern, Misses' modified V neckline, one-piece dress, plus size 16. 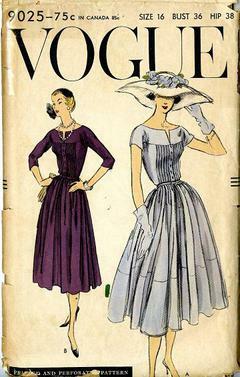 All around gathered skirt has an inverted pleat at centre-front, sides and centre back; and joins the bodice at waist-line. Bodice front tucked below shallow yoke. Wide low neck-line, below-elbow lenght and short sleeves cut in one with yoke.